If you have carpets in your home then chances are you have experienced the feeling of dread when you notice a stain on your homes carpet. This is because carpet stains are notoriously hard to remove. For larger stains, it may pay to call in a professional like Endeavour Property Services who offer carpet cleaning in Auckland. As they are trained professionally in stain removal and have a lot of high power cleaning agents that can lift even the toughest stains. But if it’s just a small stain you may be able to treat it yourself, check out these simple tips below for removing some of the most common stains. 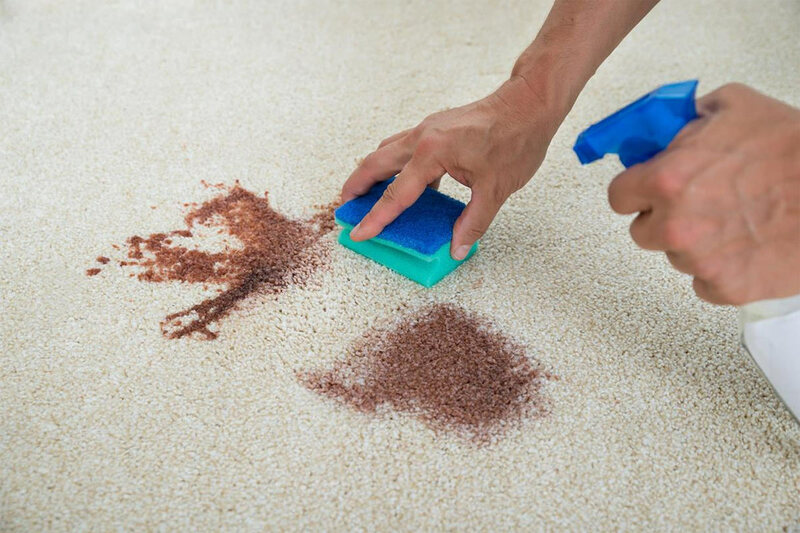 To remove coffee stains from carpet, first blot up as much of the coffee as possible with a paper towel or cloth. Then make up a solution out of one part glass cleaner and two parts water, apply this solution directly onto the stain, making sure the area is coated with the cleaner. Then lay a cloth or tea towel on top of the affected area and run an iron over it. The iron will use the power of steam to pull the liquid out of the stain causing it to evaporate. Chewing gum is one of those things which is notoriously hard to remove from your carpets. As the sticky nature of this product makes it susceptible to being embedded deep into the pile of the carpet. As with all stains you have a better chance of removing the gum if you get onto it quickly. The easiest way to remove gum from carpet is to freeze the gum. To do this place some ice into a zip lock bag and apply it directly onto the gum. This causes the gum to freeze, combatting its sticky nature. Make sure the gum is completely frozen, then get a blunt knife like a butter knife to gently lift and scrape the gum off the carpet. Then repeat this process again to remove any remnants left on the carpet. Then spot treat the spot with a soapy solution to remove any left-over discoloration. When owning pets especially puppies and kittens having some accidents is inevitable. But when these occur on your homes carpet it is often hard to remove the stain and the lingering odour associated. The easiest way to remove pet stains like urine is to first blot up as much as the stain with a rag or cloth. This is an extremely important step as if not done thoroughly the stain can soak through the carpet and damage the underlay and floors below. A good way to ensure all the liquid is blotted up is to place a hardback book on top of the cloth and stand on it, your weight will help blot up any left-over liquid. Then apply 4 heaped teaspoons of baking soda directly onto the stain itself. Then make up a 50/50 mix of white vinegar and water and apply this directly onto the stain. It will fizz and actively work to eat away at the stain. Ink stains are common on carpet especially in households with young children, but luckily enough they are not necessarily permanent. An easy way to remove ink stains from carpet is with the use of isopropyl alcohol. To do this apply it to a cloth and dab the affected area, be careful not to rub or you may spread the stain and make it even worse. Once you have finished then rinse the area with a mix of vinegar and warm water. This is important as the isopropyl alcohol could dry out your carpet, so make sure to rinse it well. This should remove the majority of the stain, if you still have a stain, then cover the stain with shaving cream leave for 15 minutes. Then rinse again with vinegar and water mixture. After this leave, the area to dry then vacuum the area quickly to fluff up the carpet again.